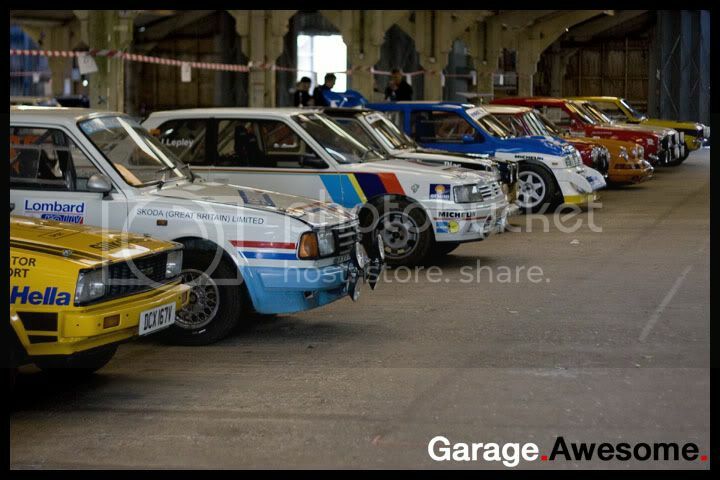 EVENT: Race Retro Show – Stoneleigh Park 2012 « Garage.Awesome. What happens when Nomex, HANS, carbon fibre, kevlar and safety rules get replaced with Tweed, brass, wood, leather and not a great deal of safety? The answer is simple; Historic Motorsport and what better way to celebrate the ancestory of the racing series we enjoy than to make a trip to Stoneleigh Park in Warwickshire for the annual Race Retro Show. Firstly, we enjoyed a fabulous weekend of weather, which is something that we haven’t been able to say for a few months, in fact, our last outing saw us battling through the snow to get to the stages! So with the sun out, we made hay and enjoyed a decent day out looking around some amazing historic cars and memorabilia. Okay, so it may not be a show for everyone or the mainstream enthusiast, but the Race Retro event does cater for those either old enough to have participated in Motorsport 20,30,40 or even 50 years ago or those with a keen interest to find out what it was like and what machinery was used, to coin a phrase, ‘back in the day’. 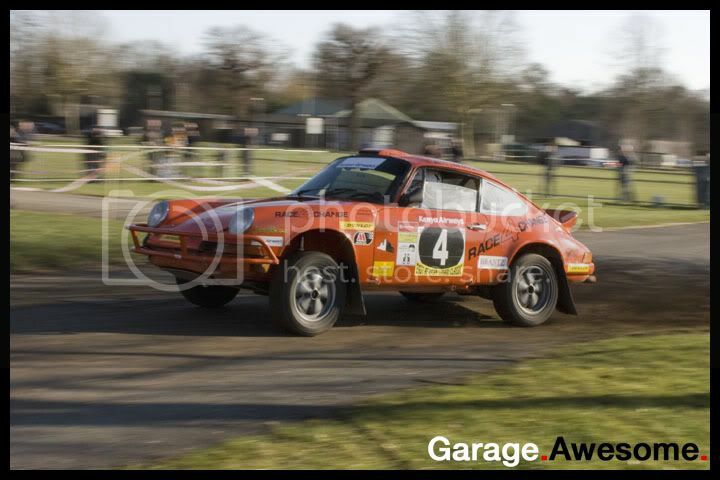 The live rally demo is an obvious highlight to the whole weekend, for us it’s a chance to see cars we are concious of and that are steeped in history, but we have never or seldom seen in action. The line up of rally cars tackling the stage was varied, from Porsches to Triumph, Rover to Skoda and Toyota to Vauxhall. Whilst they were all impressive in their own right, and the soundtrack of some of the cars is like no other, we did feel with it not being a timed stage that the drivers would maybe put on more of a show rather than driving as if they were being timed. Even so old rally cars are epic. Always. One of the main cars running was the Porsche 914-6, this car was made availabe and co-driven by a celebrity petrolhead in the form of Jamiroquai frontman; Jay Kay. Other notable drivers whose names might be familiar were Russell Brooks, Jimmy McRae and Ryan Champion, who was piloting the Subaru Impreza WRC car. Away from the live stage you had classic karting demos and a sterling effort from Westfield putting on a drift and handling demo. Inside we found a huge autojumble featuring tools, parts and memorabilia all from a by-gone era and of course the displays featuring classic cars that participated in motorsport or moden day replicas of these historic machines. If you are looking for a manic, fast paced show you’re going to be disapointed, if you’re after a slice of history and a bit of something you’re not likely to have seen before then this is one for your diary in 2013, we like to think of it as ‘the show you can take your Grandad/Dad/Uncle along to’. A quick shout out to The Falcon Motor club who marshalled the event and did a fine job in keeping everyone safe and entertained and of course for all your retro information and up to date planning for next year’s event, www.raceretro.com is the place to be.